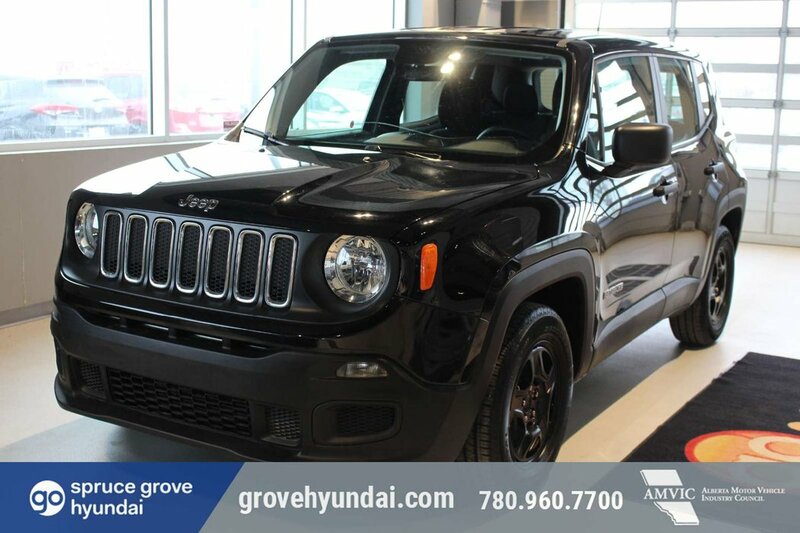 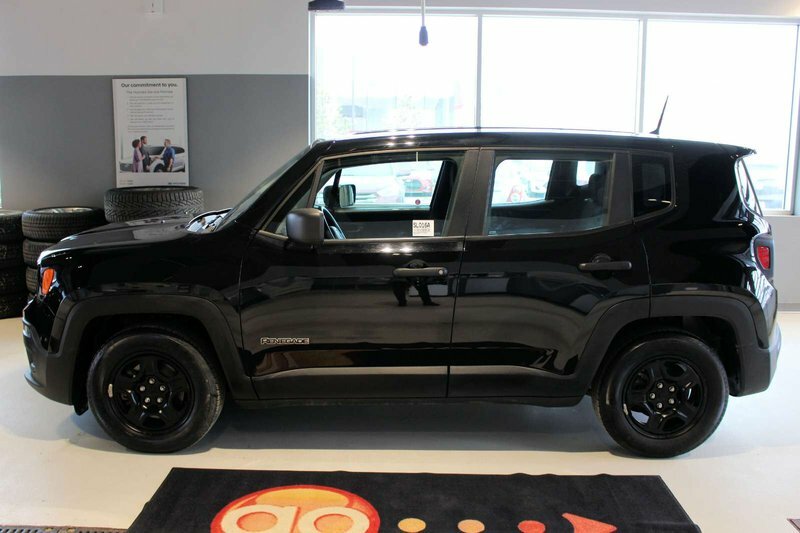 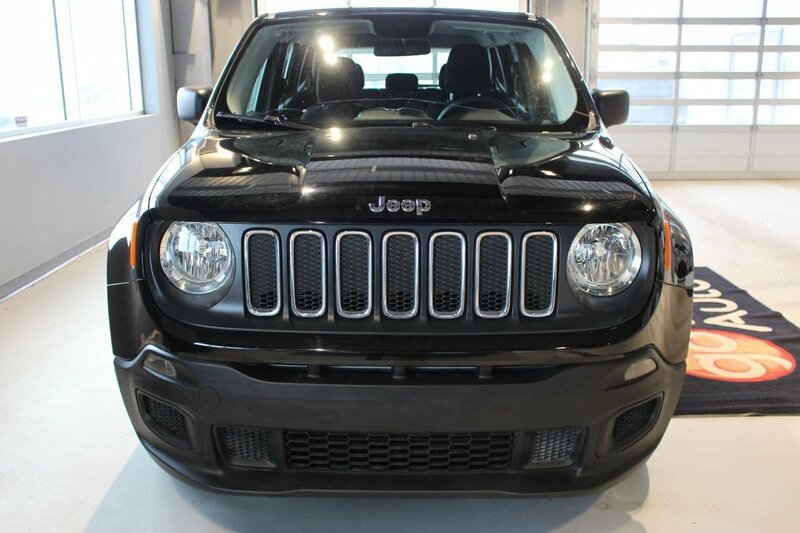 Delivering legendary Jeep capability, our 2015 Jeep Renegade Sport SUV presented in Black lets you take on those great adventures in elevated style! 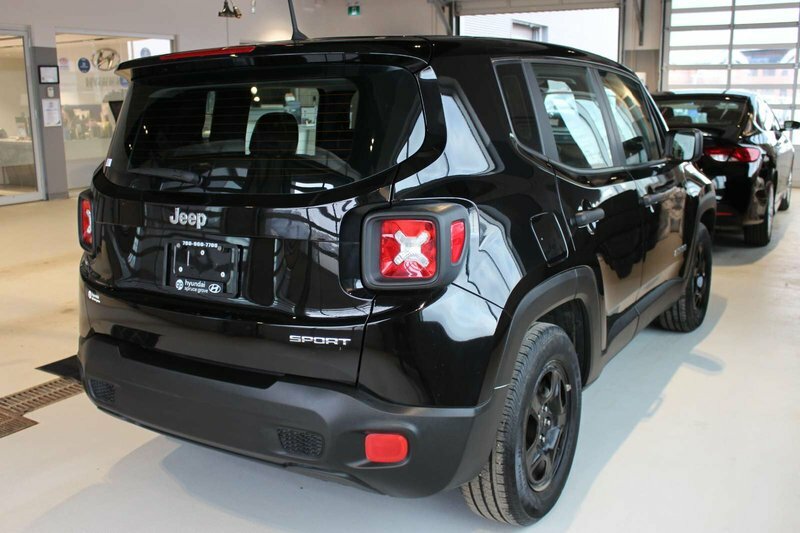 Fueled by a 1.4 Litre 4 Cylinder that offers 160hp on demand while paired with a 6 Speed Manual transmission for fun passing power. 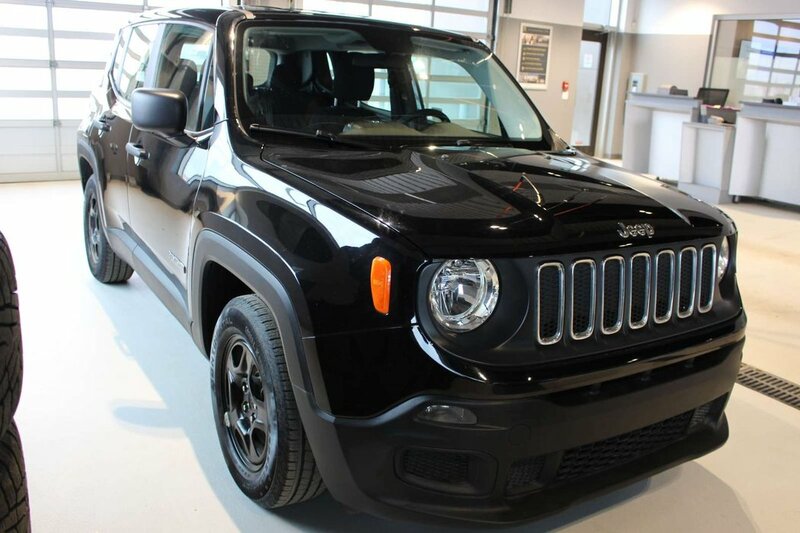 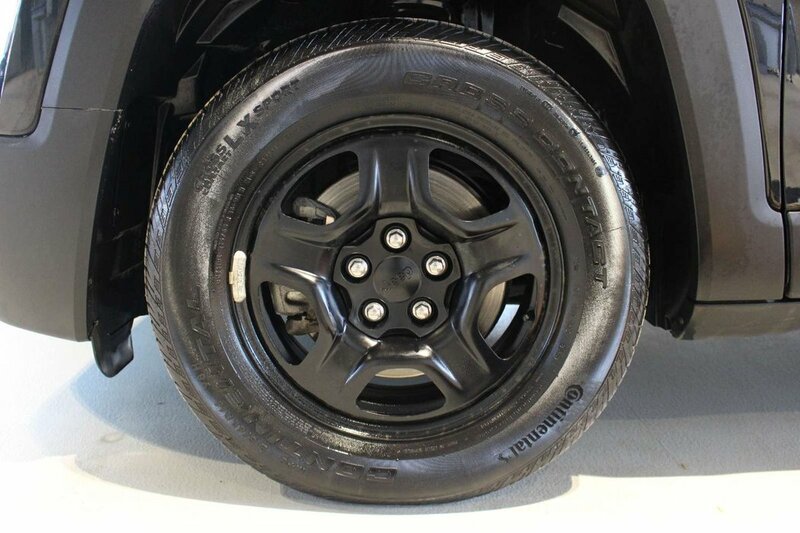 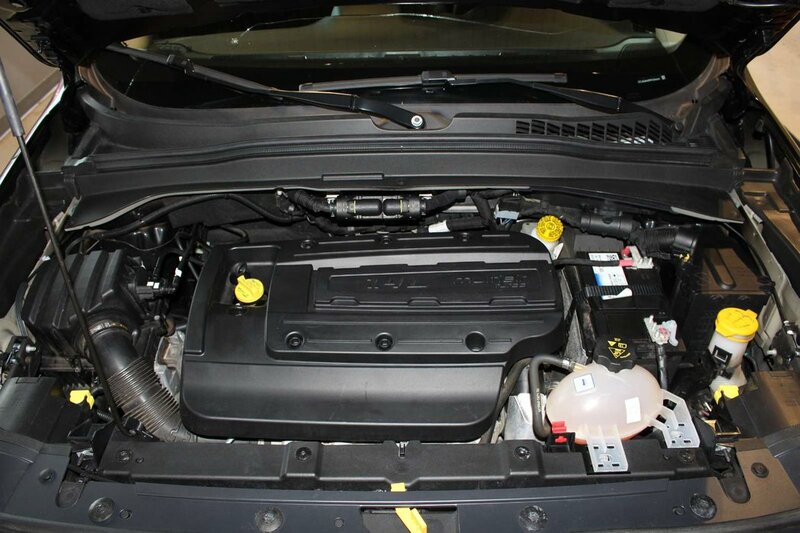 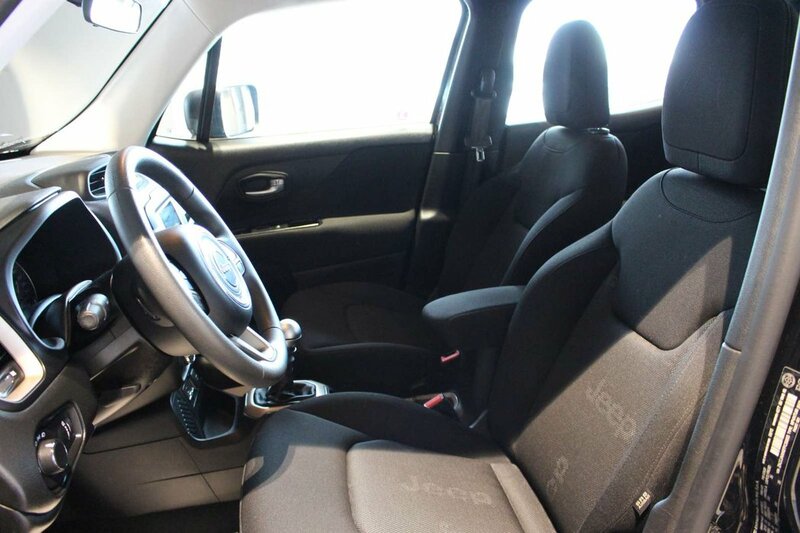 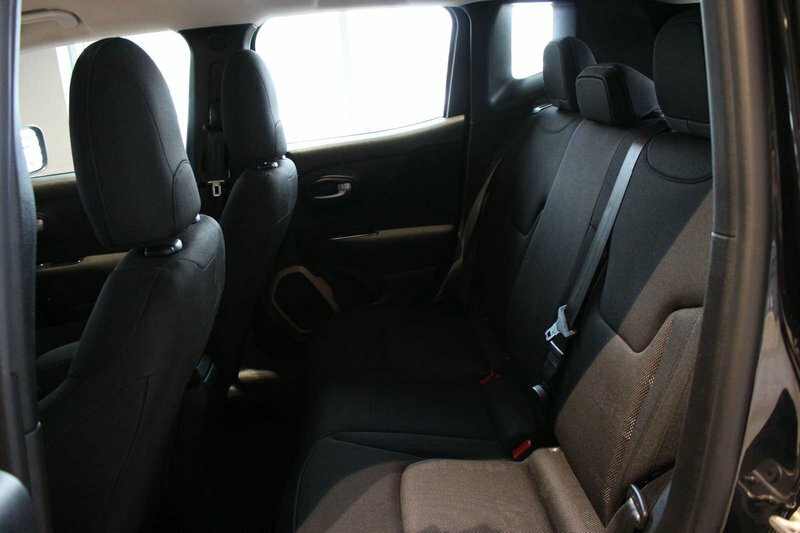 You'll love the comfortable ride in this Front Wheel Drive Renegade and score near 7.6 L/100km on the open road. 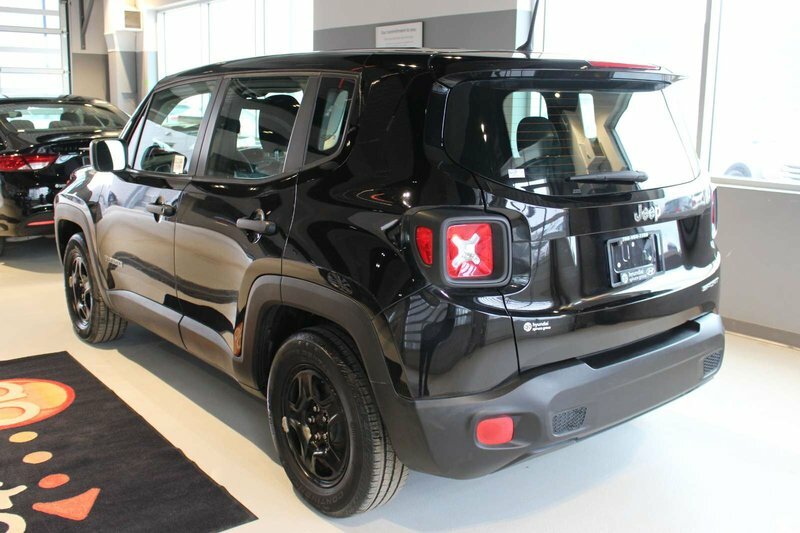 Our Renegade Sport is sure to get attention with its aggressive stance and fun-loving character accented by classic Jeep styling. 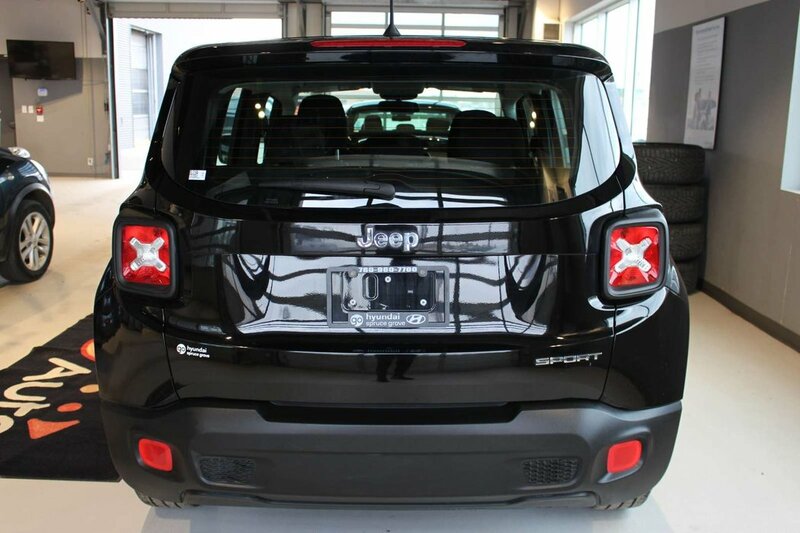 The iconic grille and black steel wheels let people know this machine means business! 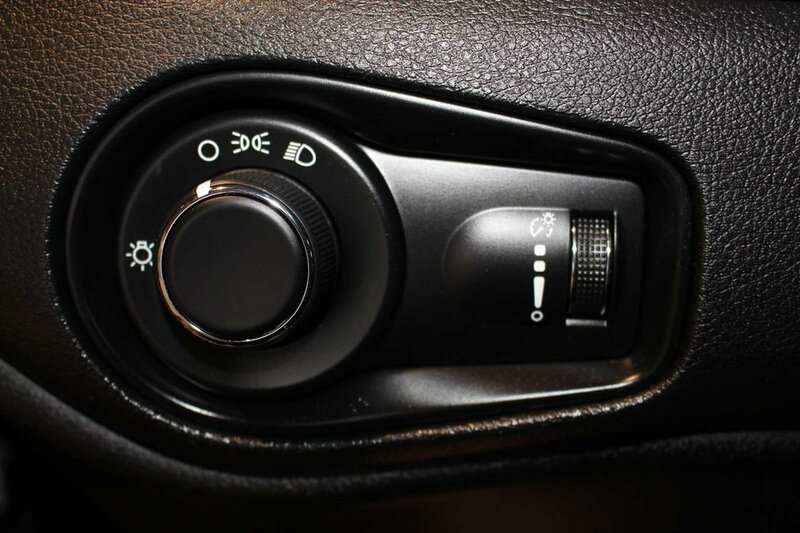 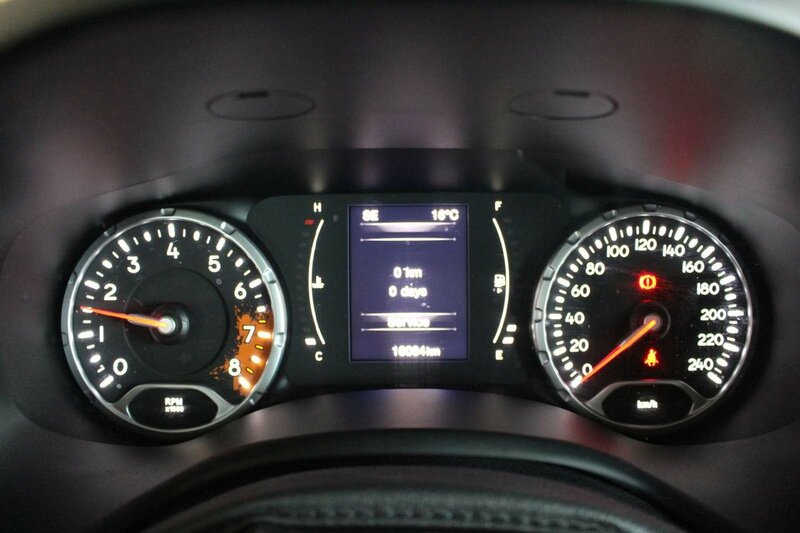 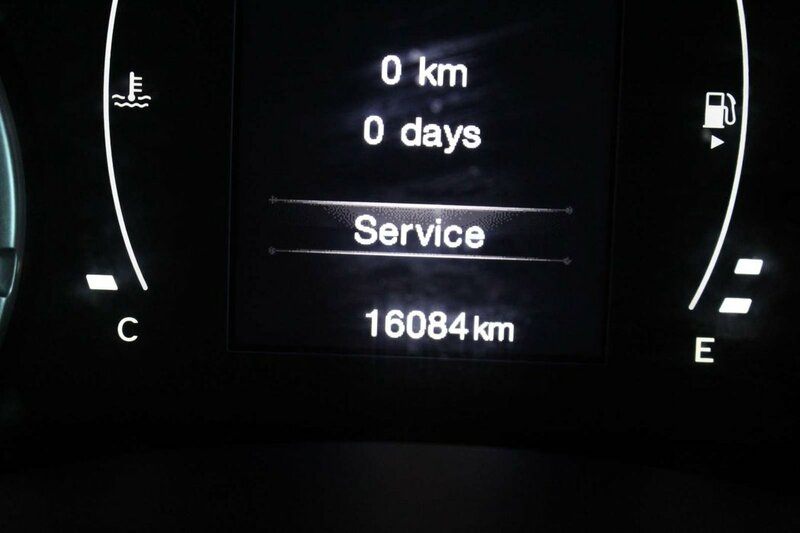 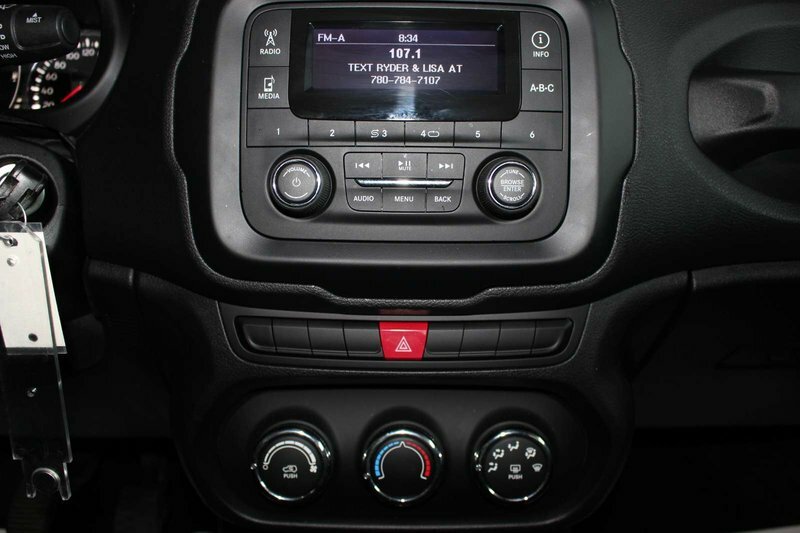 Climb inside our Sport, settle into the comfortable seats and check out the personalized instrument cluster. 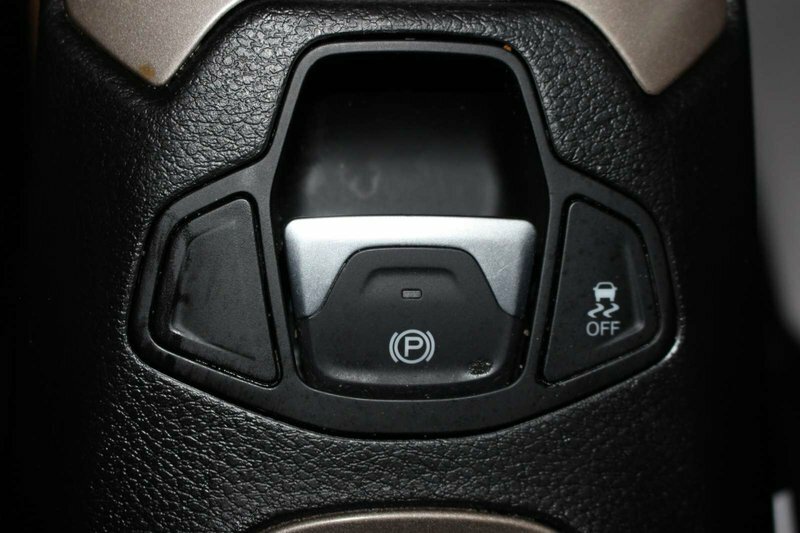 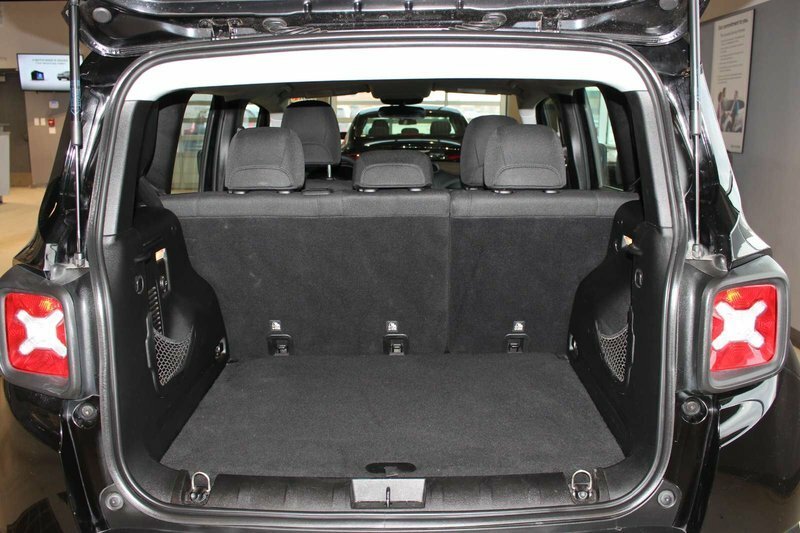 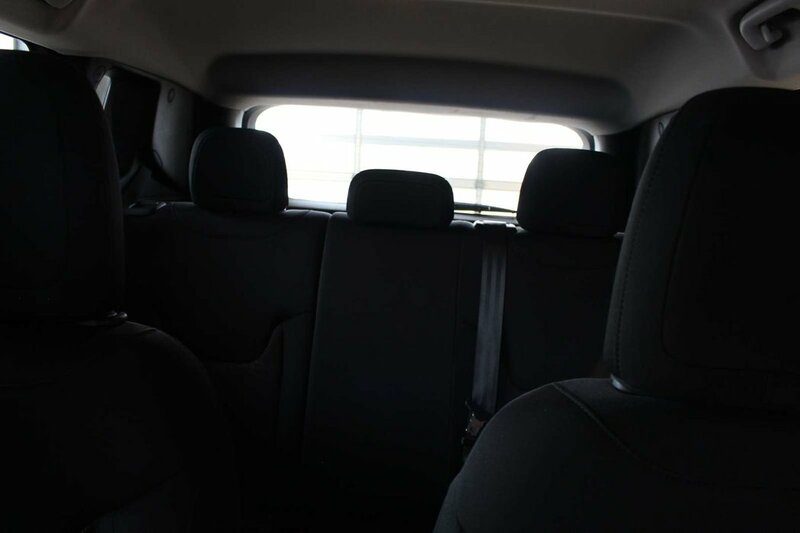 You'll appreciate remote keyless entry, a height-adjustable rear cargo floor, power windows, and a fold-forward front passenger seat. 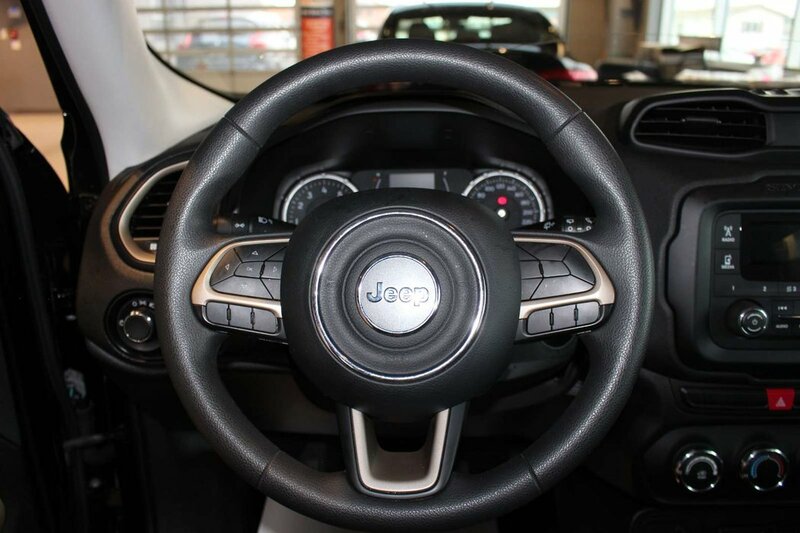 Controls for the sound system with USB and audio inputs are at your fingertips with steering wheel mounted controls, so turn on the tunes that inspire you and take on your greatest adventures!